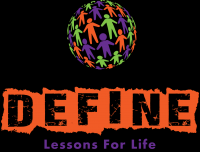 Summer Camp Lead and Part time on Sundays 10-12 and Monday through Friday 4-6 teaching K-2 hands on, project based character education based on Define's curriculum. And part of the time is for organizing the student attendance, parent communication, basic bookeeping, and other program management tasks. $11 per hour plus a percentage of the program's excess revenue.